Just a day after the photo call and premiere of her latest film, Arrival, Amy Adams exposed her foot bunions on the 73rd Venice Film Festival red carpet to promote her other movie, Nocturnal Animals. Luckily it’s quite easy to prevent and treat foot deformities. The 42-year-old actress continued her winning style streak as she attended the photocall for her drama thriller. She was classy in an all-black ensemble, which consisted of a figure-hugging Tom Ford black dress and a blazer. Amy styled the sophisticated look with Jennifer Meyer drop earrings and a pair of black heels. She kept the rest of her look simple, wearing her tresses straight and sporting minimal makeup. Amy was seen posing alongside designer Tom Ford, who directed the movie, based on the 1993 novel “Tony and Susan” by Austin Wright. 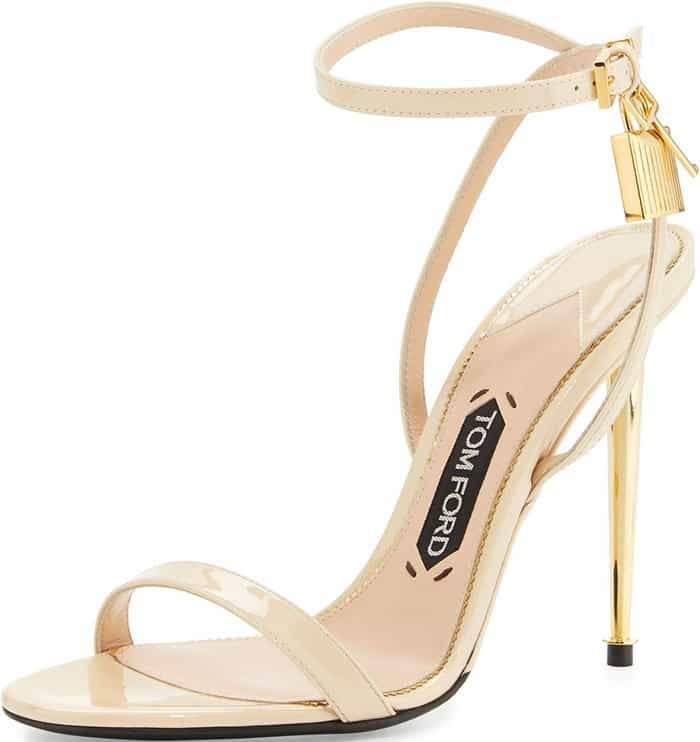 Amy rounded out her look with a pair of Tom Ford sandals, which put her unsightly bunions on display. Made of black leather, these sandals feature gold stiletto heels, matching gold padlock-and-key charms and adjustable ankle straps. Check out these similar styles at Net-A-Porter and Neiman Marcus. For the premiere of the movie later that day, Amy decided to glam up and ditch her business attire-inspired ensemble. The “American Hustle” star dazzled in a gold-embellished gown, also by Tom Ford. She showcased her figure in the single-sleeved floor-sweeping dress, which clung to her every curve. Amy amped up the look with a silver snake bracelet, a statement ring, and diamond stud earrings. Channeling old Hollywood glamour, she wore her tresses down in gorgeous side-parted waves and sported neutral makeup to highlight her features. Amy slipped into a pair of Jimmy Choo “Pearl” sandals, which added a few inches to her 5’4” height. These metallic sandals feature encased heel counters with cutout details, adjustable ankle straps, about 0.39-inch platforms, and 5.7-inch towering heels. We couldn’t find these exact Jimmy Choo sandals online, but a black suede version with shorter platforms can be purchased at Farfetch.